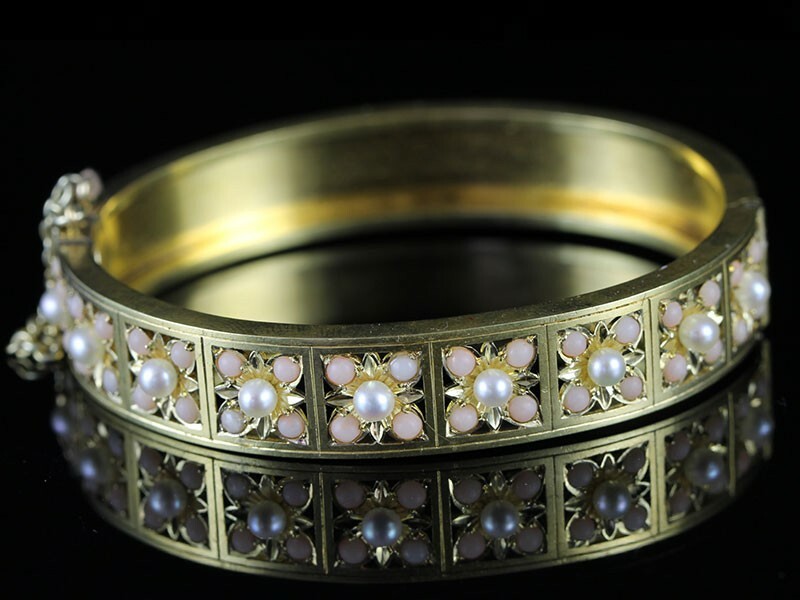 This extra-lovely antique Gold bracelet is Victorian, Circa 1900, consisting of nine Pearls and Pink Coral sections which are cleverly handcrafted which depicts amazing craftsmanship and vision from a bygone era. 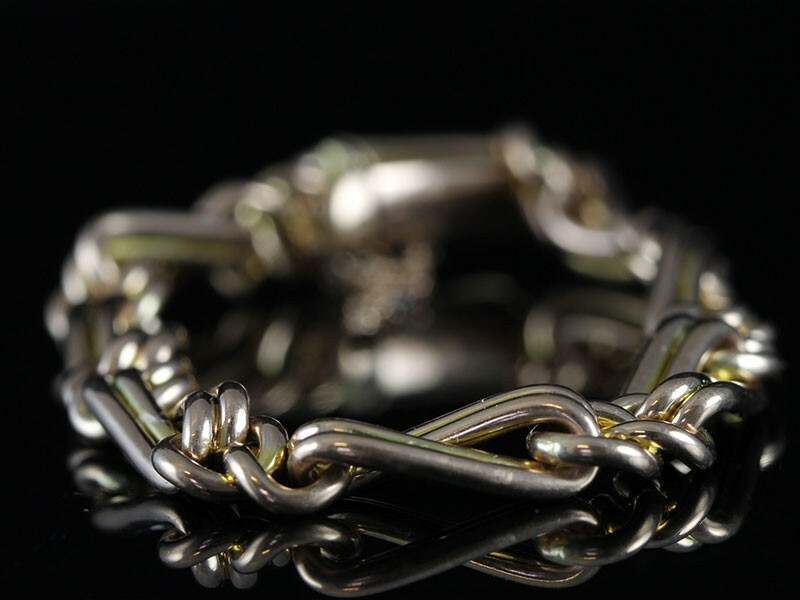 Here is a very elegant and charming antique Gate Bracelet from the Victorian era of the the early 1900's that was made in 9ct Rose Gold. Rose gold has such an enchanting colour about it that has such a warm rose colour to it that looks so good on the wrist. 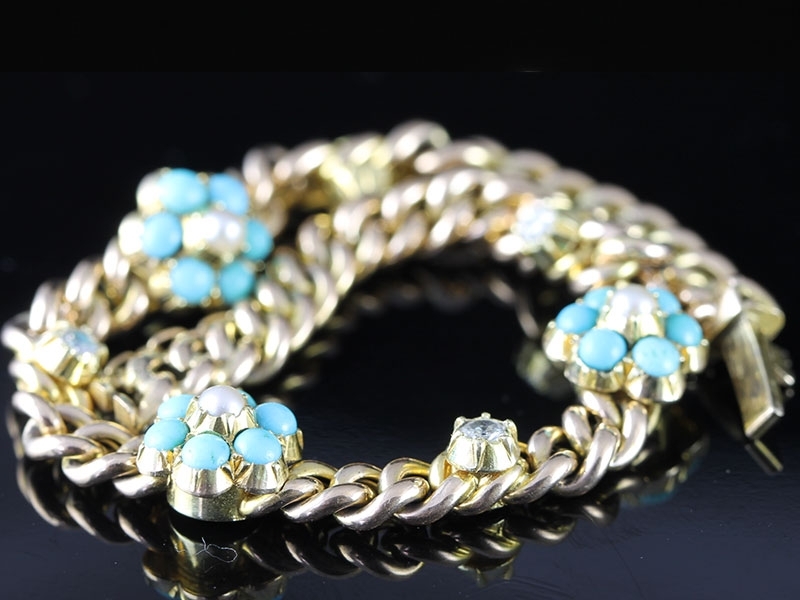 Execllent Condition throughout, a pretty most attractive Edwardian bracelet. 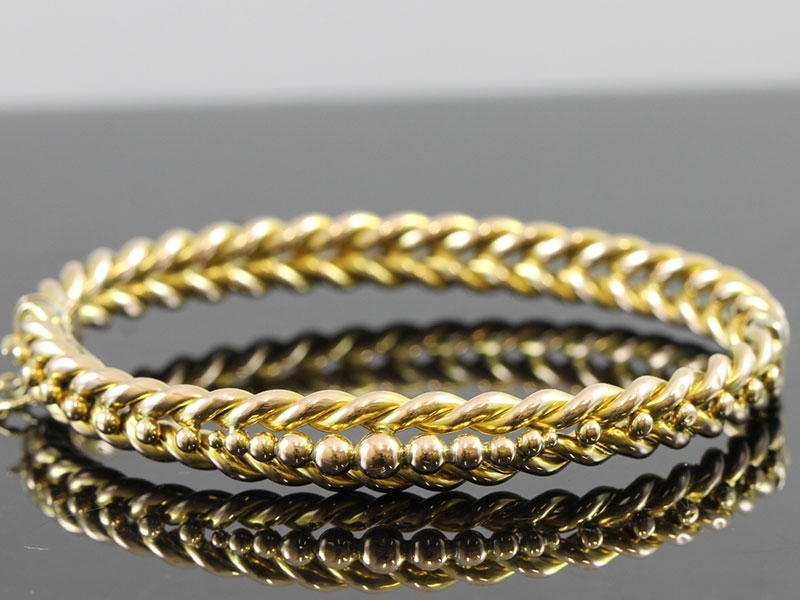 This bracelet has two 15 mm tubulour linked bars both being connected throughout with two Old Rose Gold links. 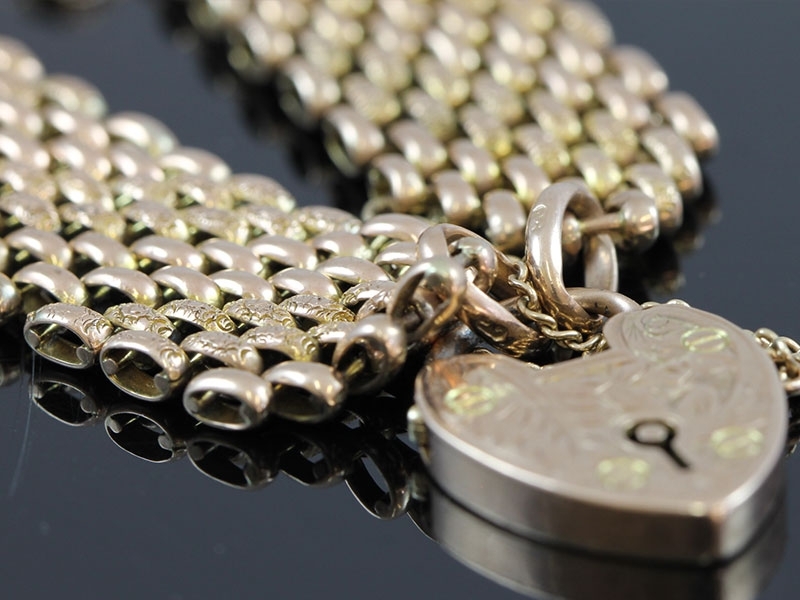 A splendid Edwardian bracelet composed of thick, deeply hand engraved style links interlocking leading to a charming beuatifully engraved Garnet heart shaped clasp locket with a glass compartment on the reverse. 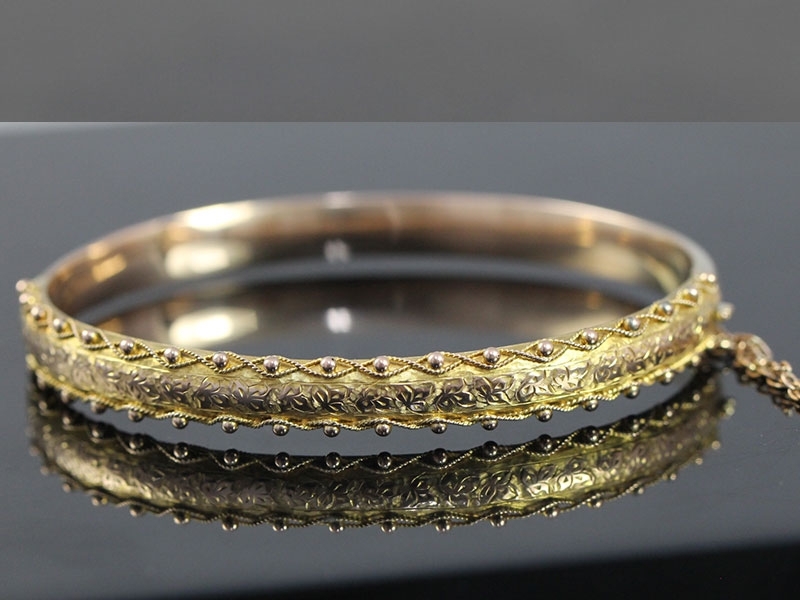 Gold, Tourquoise and Diamonds, what a winning combination specially when they are all set together in a delightful antique bracelet from the Edwardian era. Magnificently hnd engraved with a charming floral anf foliate design. 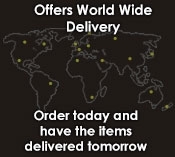 The bangle has an important look combined with a truly beautiful design. 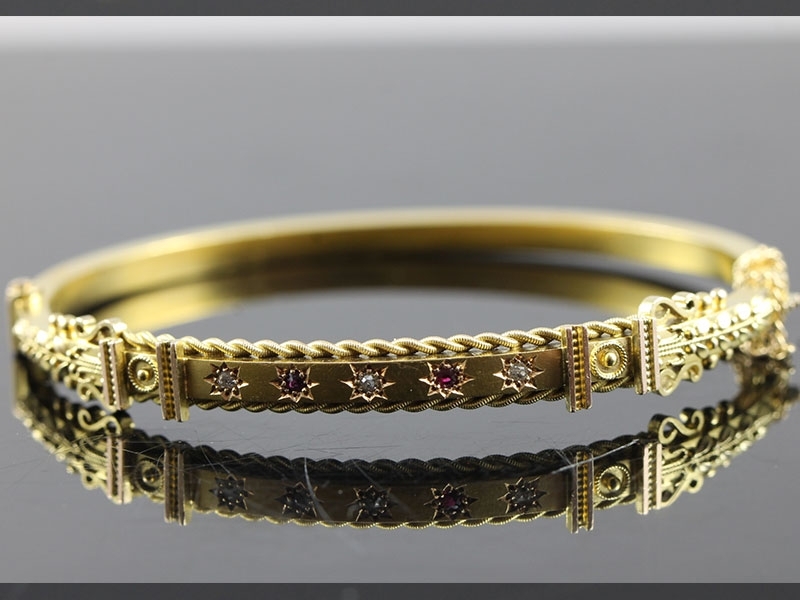 This stunningly sweet and exceedingly rare bangle is an absolute beauty. Once you have it on you will not want to take it off! 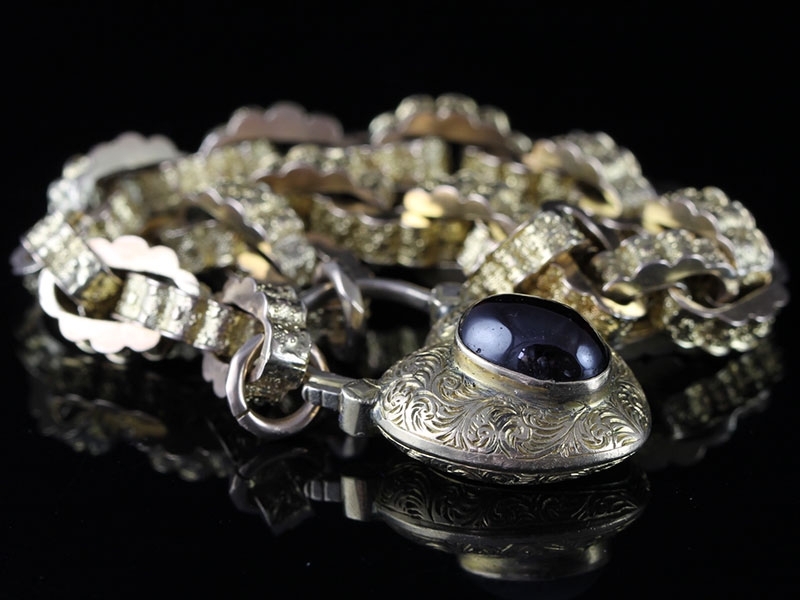 Standing out from the crowd, this extra wide Edwardian Gate Bracelet is rare to find in this width. 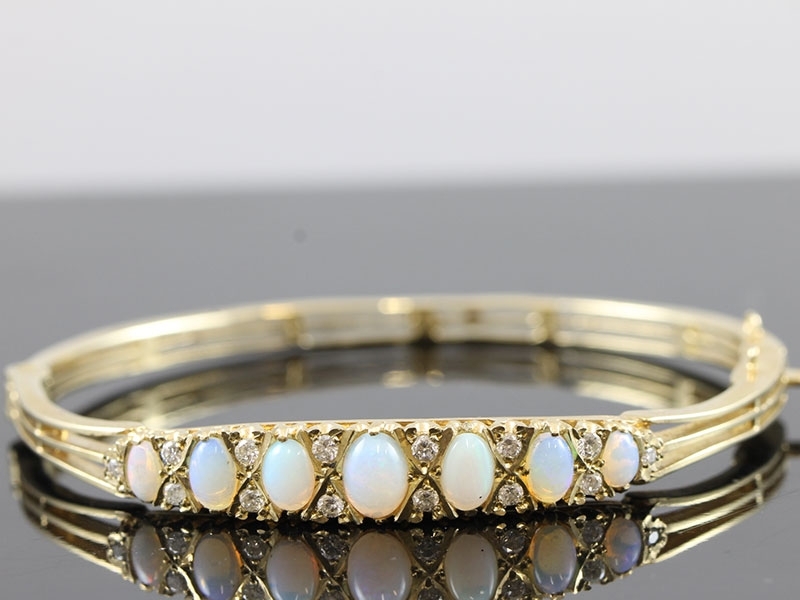 Stunning Opal and Diamond bangle will delight the wearer of this Edwardian treasure. 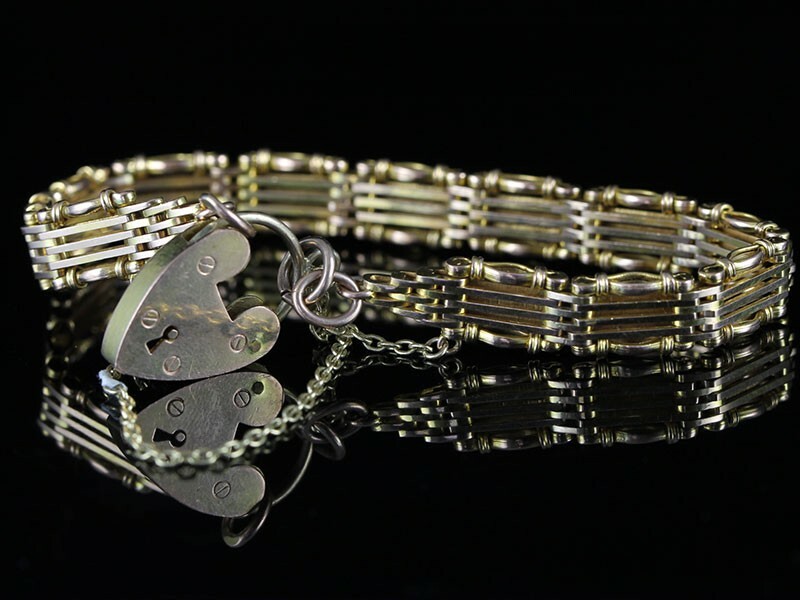 Here is a gorgeous and very striking Edwardian 15 carat bangle complete with safety chain. 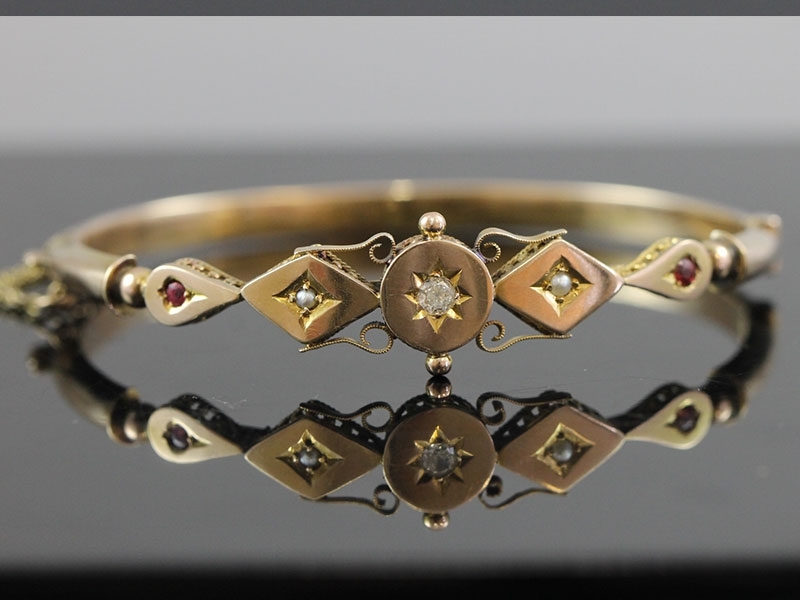 This is a very attractive antique Ruby, Seed Pearl and Diamond hinged bangle dating from the Edwardian period, Circa 1900s. 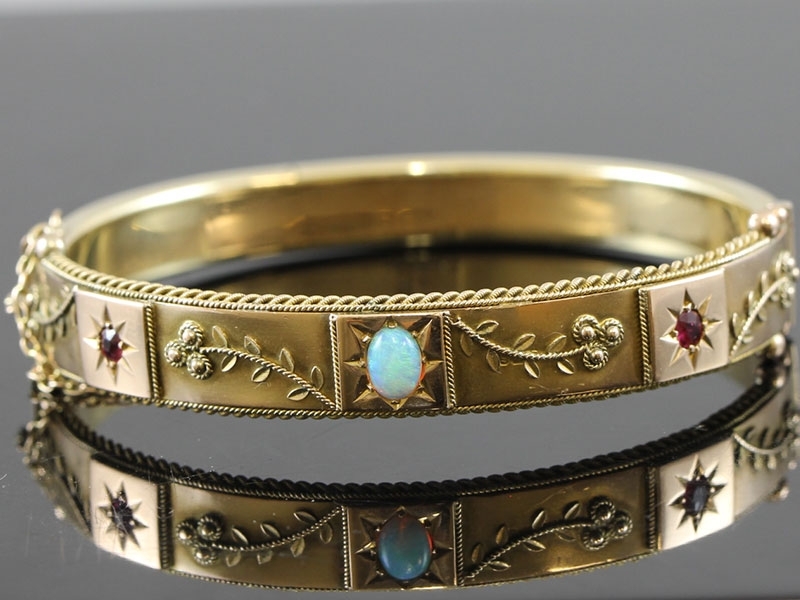 A stunning antique rose and yellow Gold bangle in an Etruscan design.